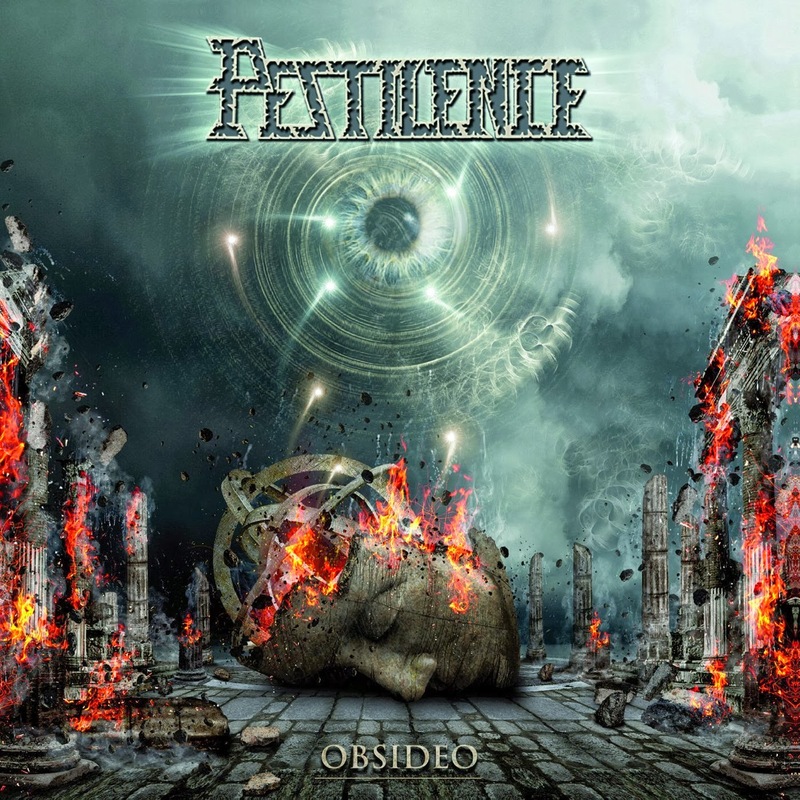 Since entering the studio in 2009 after a 16 year break Dutch tech death metallers Pestilence have failed to impress as much as they did earlier in their career with genre busting albums such as Testimony of the Ancients & even Spheres, though in fairness Spheres & it’s jazz fusion caused a bit of a stir on its release. 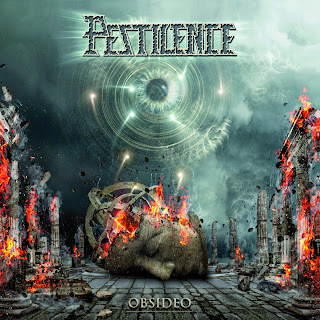 Produced by vocalist/guitarist Patrick Mameli Obsideo is the 3rd studio album since ’09 & features a new bass player, George Maier & also a new drummer, David Haley from Australian technical death band Psycroptic. I love an album with a good intro & opening track Obsidio kicks off with a heartbeat & monitor, (Chaos AD anyone?) the monitor flat lines to be replaced with pure chugging, technical aggression that rarely lets up for the next 35mins. Obsideo is a riffing, chugging beast of a track that’s laced with quality, precise machine gun beats from Haley and old school death metal vocals from Malemi. Necromorph is another stand out track due to its space age effects and (again) stand out drumming but at just over 3 minutes long it’s a little too short & fails to achieve its full potential, a bit like the album itself that’s over in the bang of a head, well 35 minutes…. Soulrot is another great track that showcases a number of precise, clinical guitar solos traded between guitarists – Deliverance style….in fairness this is the case throughout the album with several complex solos laced throughout each & every track. Death metal has been experiencing a “purple patch” of late & with the amount of good death metal bands ever increasing each band needs to take risks/evolve in order to stay ahead of the pack. This is where Pestilence fail to excel, don’t get me wrong, this is a very good, solid, heavy, straightforward death metal album that will satisfy most Pestilence fans, both the old school brigade whilst also winning over a few new fans. I really enjoyed the album, it’s most definitely well worth a listen but there’s little within to separate them from many of their contemporaries & elevate them from their current (good) status to being one of the great death metal bands of our time. Frontman Malemi recently took offence when Gorguts were mentioned during an interview, I wonder why? Could it “possibly” be because he realised Gorguts had “maybe” released an album that could well set them ahead of the pack that Pestilence seem to be condemned to forever be a member of? I’m off to give Gorguts another listen………. Obsideo is released by Candlelight Records on November 11th in the U.S.